"This is the kind of thing that makes me feel the most proud," writes the American rapper, singer and songwriter on Instagram. 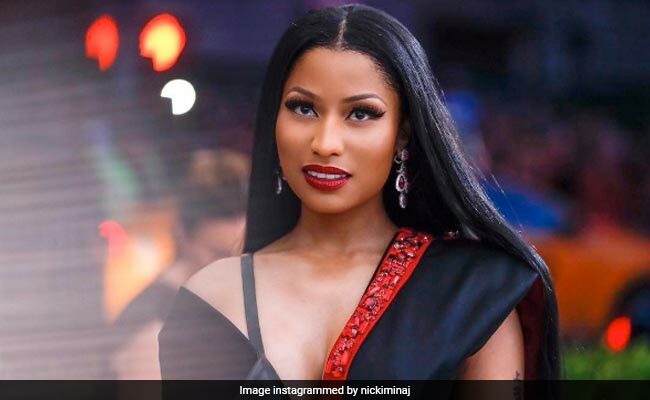 New Delhi: In an Instagram post, American rapper, singer and songwriter Nicki Minaj reveals she has been sending money to an unnamed village in India for the last few years, to help its residents gain access to clean water, basic education and technology. The 34-year-old shared a short video on Instagram in which a man shows off a newly-installed hand pump in the village. "This is the kind of thing that makes me feel the most proud. The money I've sent to this village in India for the last couple years (via my Pastor Lydia Sloley), has gotten them a computer centre, a tailoring institute, a reading program and two water wells," Ms Minaj writes in a caption accompanying the video. "We complain about the most ridiculous little things when some people don't even have clean water. Blessings to India. Our work is far from done," she adds. The video, posted on Instagram on Sunday, has already been viewed over 2.7 million times. Ms Minaj writes she will share more details about her charity work in the future, in case her fans want to get involved. She has also posted two pictures of women wearing sarees and suits with at least two new Singer sewing machines. "I'm so proud of our sisters in India. God is so good. Their desire was to have water wells and places where they can worship, places where they can learn technology, computers, reading, etc. We're just getting started. These women are us and we are them," the musician writes. "I honestly did not expect this from you. Goes to show don't judge a book by its cover," writes one person on Instagram. "You are truly a beautiful person inside and out! God bless you!" "Great job Nicki," writes another. "Money never matters, humanity does. God bless you." Earlier this month, Ms Minaj surprised a few lucky fans by paying off their college loans and offering to pay for stuff they need for college - if they achieved top grades in school.